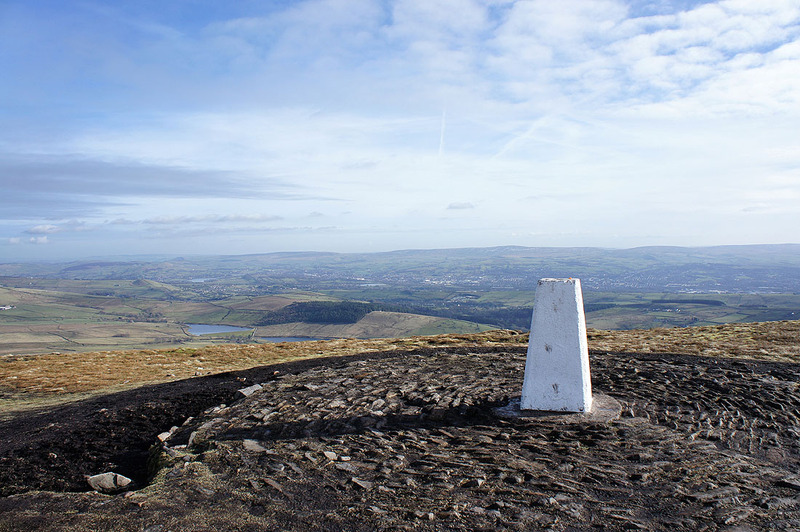 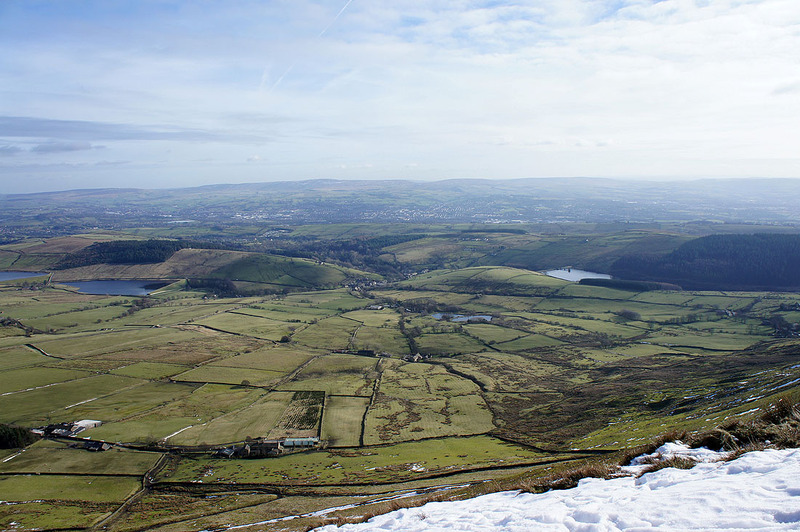 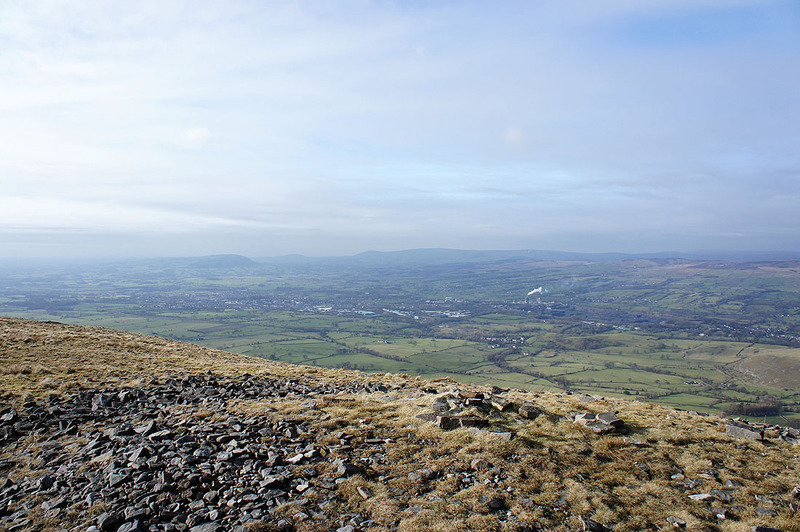 My first and hopefully not my only ascent of Pendle Hill for the year. 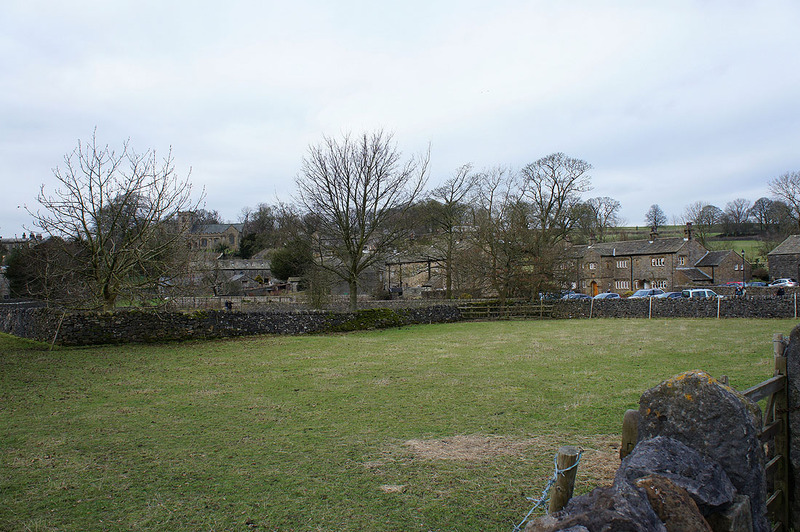 I decided to do it from Downham, a much quieter route than from Barley. 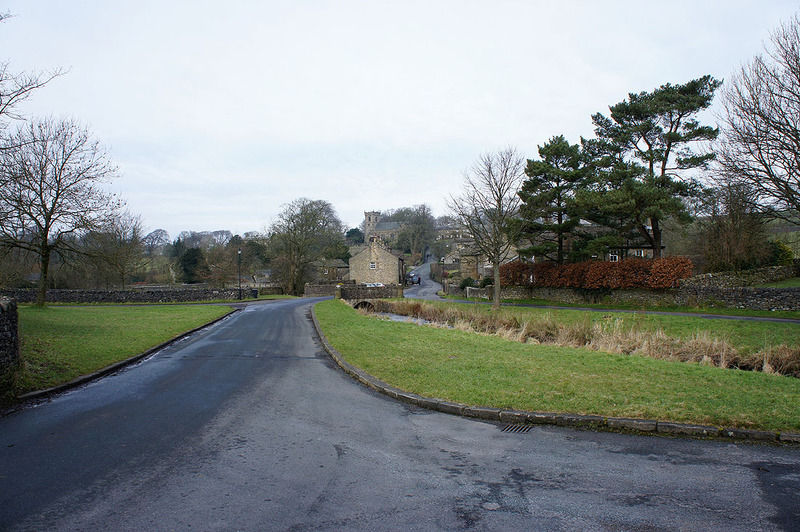 After parking in Downham I set off up Pendle Road. 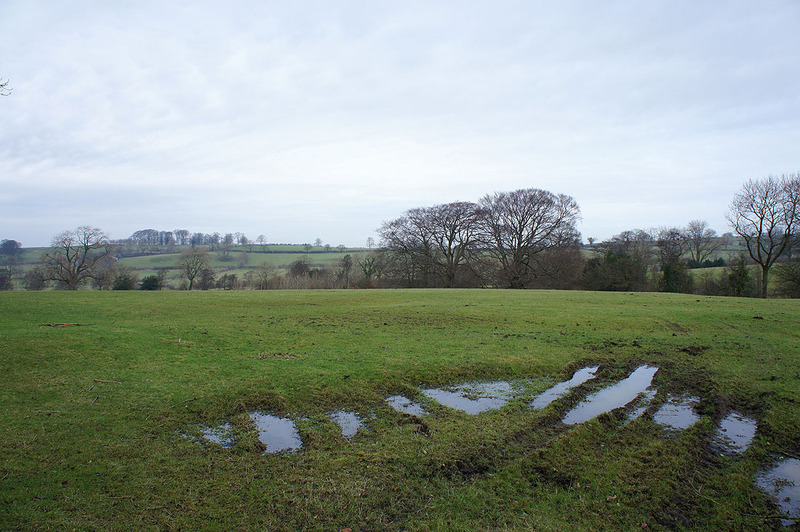 I could I have used a footpath over fields but the prospect of slithering around in mud didn't appeal to me. 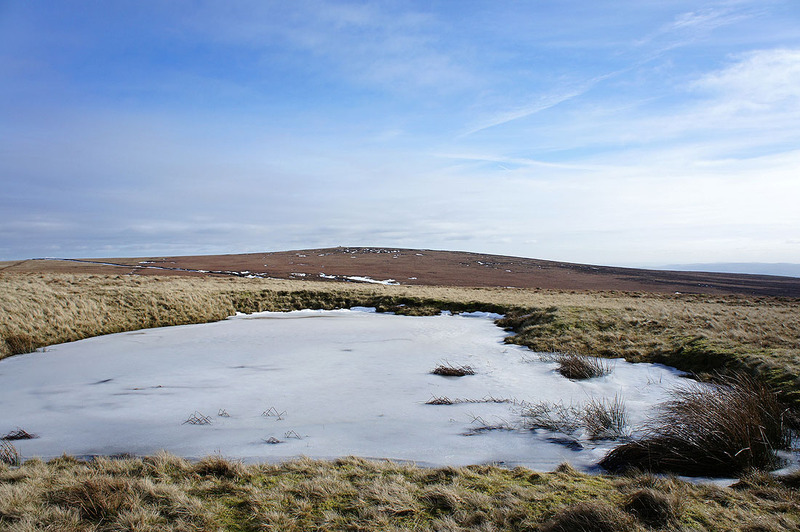 Upon reaching Hookcliffe Plantation I left the road to follow a path up Downham Moor and the summit. 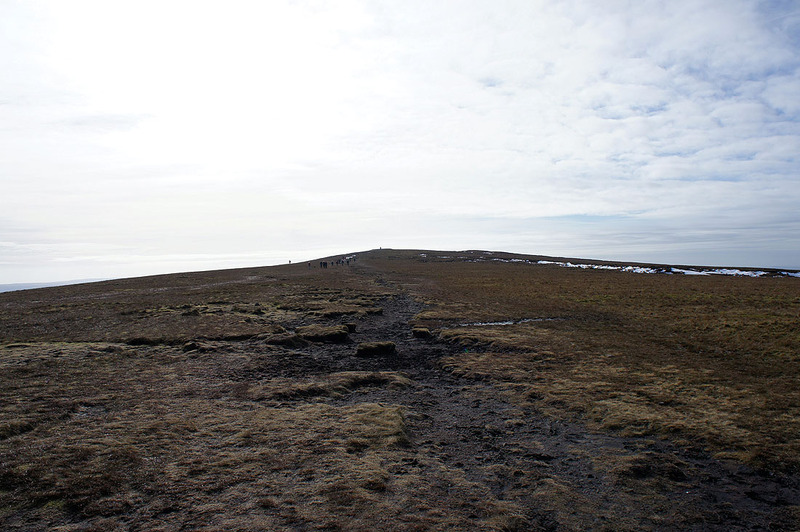 I retraced my steps from the trig point back to the wall and stile to take the path across the top of Downham Moor to the Scout Cairn. 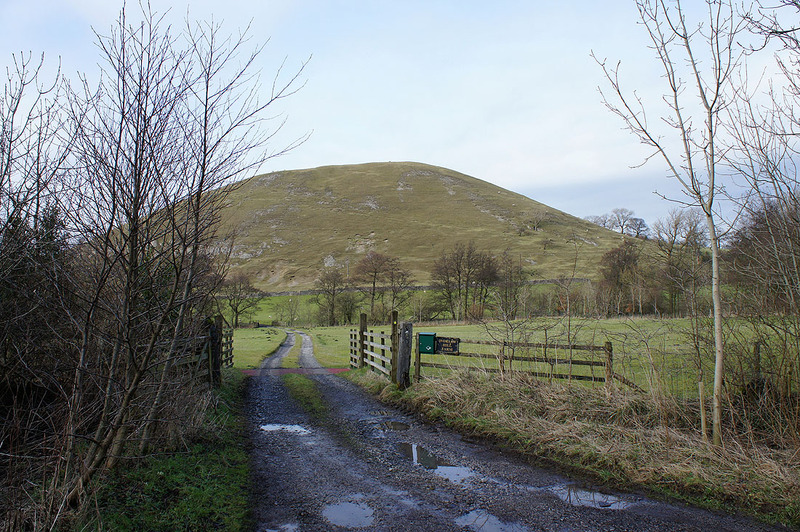 My route back to Downham was the path down Burst Clough and the road of West Lane. 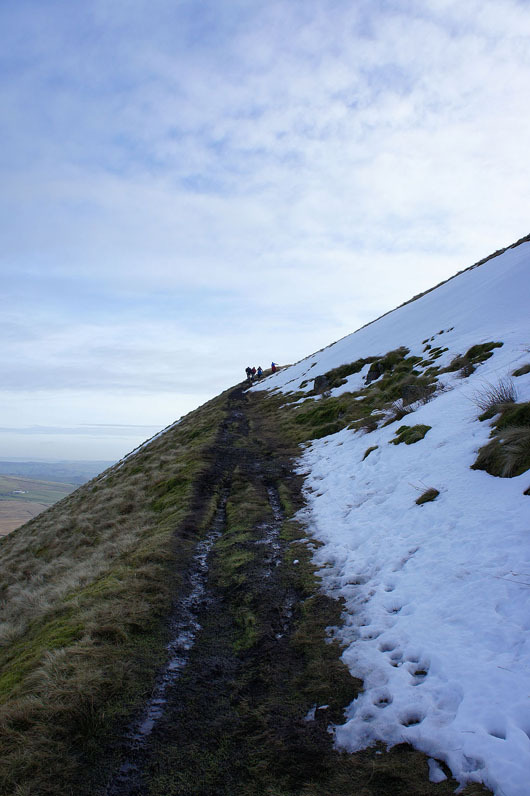 Heading up. 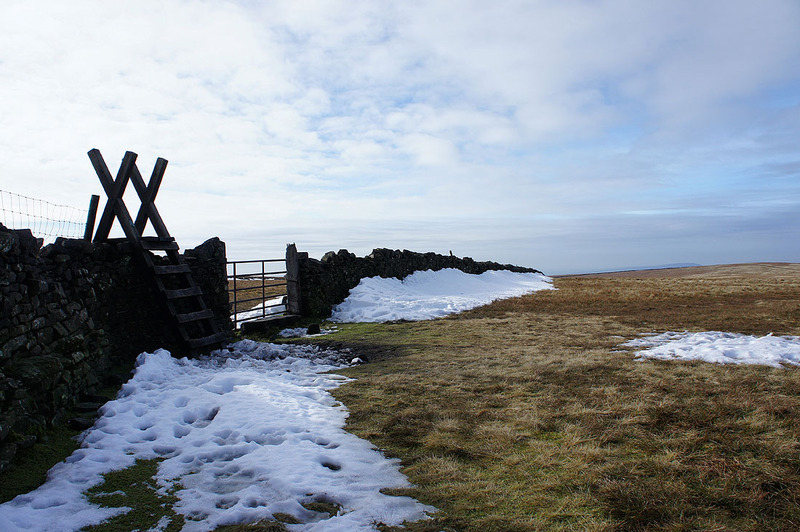 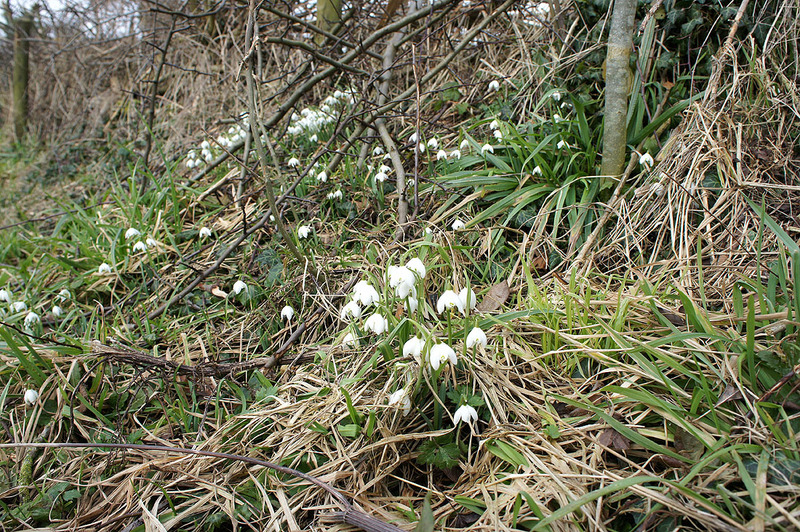 Some snow has survived on the sheltered north side of the hill. 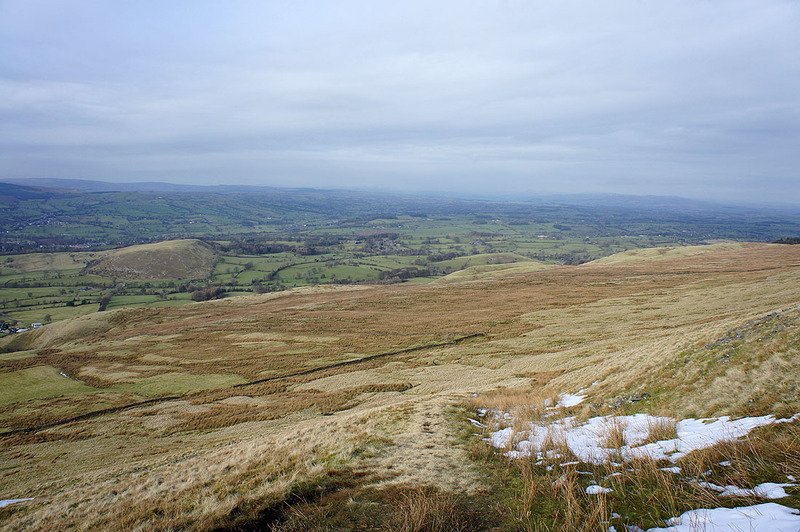 The Ribble Valley from the top of the climb. 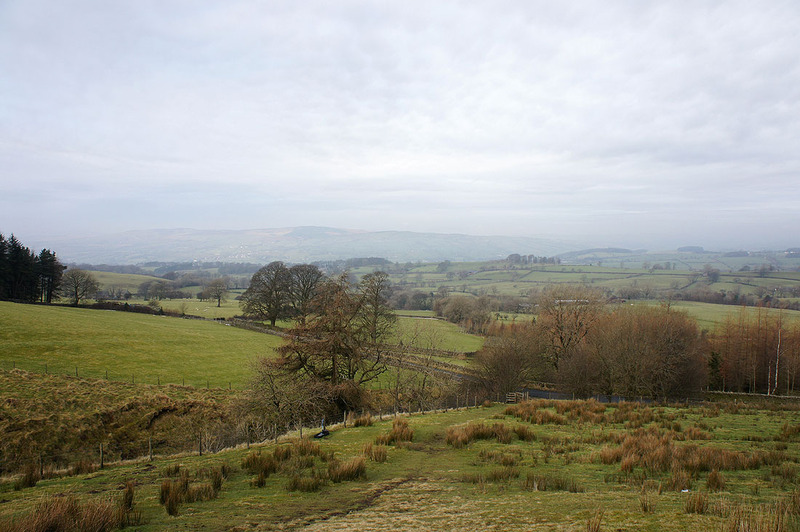 Unfortunately mist has obscured any views of the three peaks in the Yorkshire Dales. 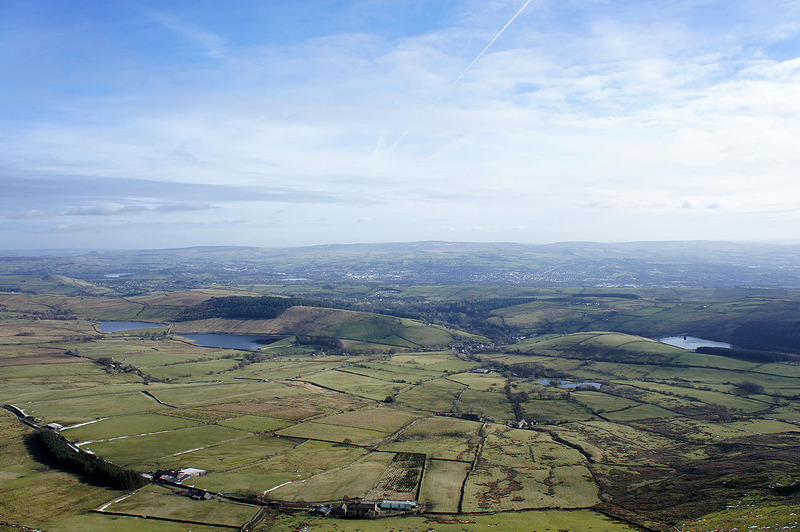 South Pennines views. 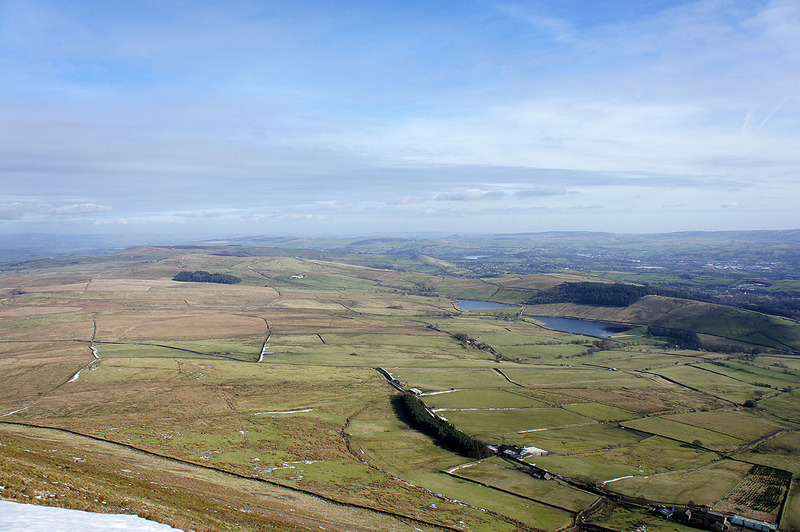 Twiston Moor, Weets Hill, Kelbrook Moor, Bleara Moor, Pinhaw Beacon and the two Black Moss reservoirs. 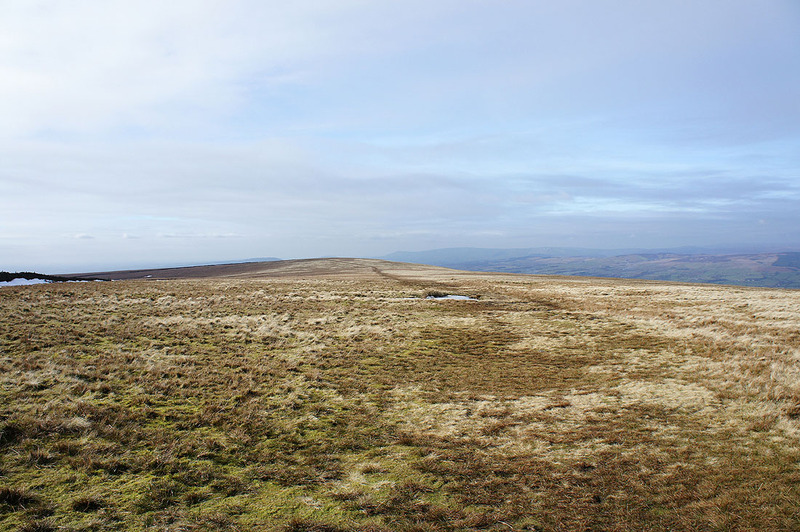 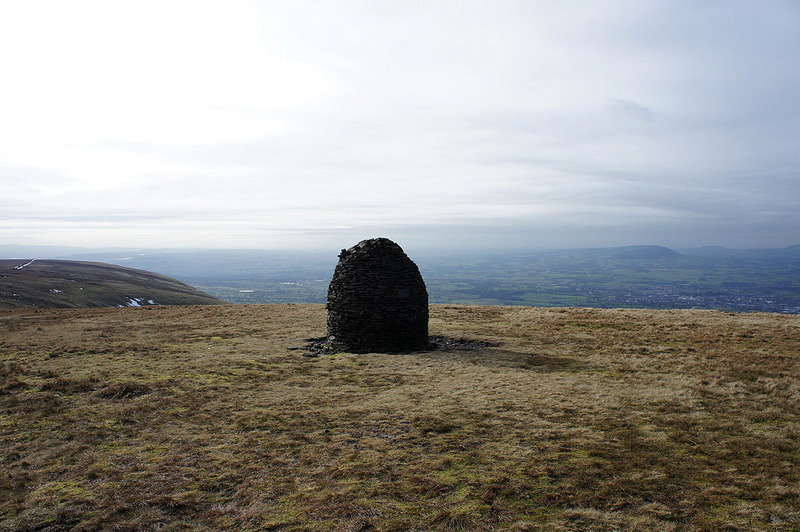 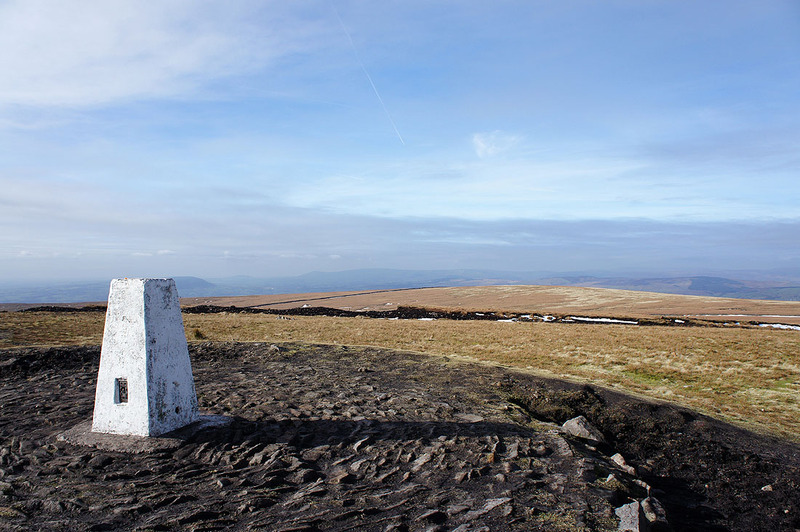 This high point on Downham Moor gives great views across the Ribble Valley. 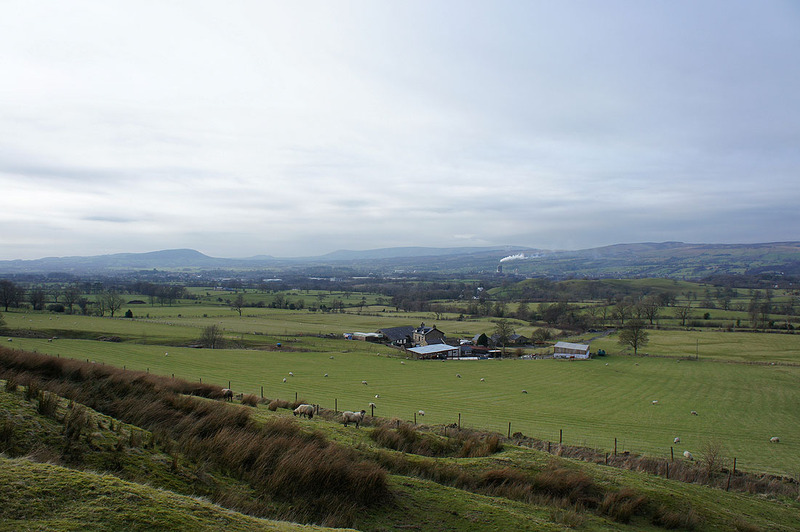 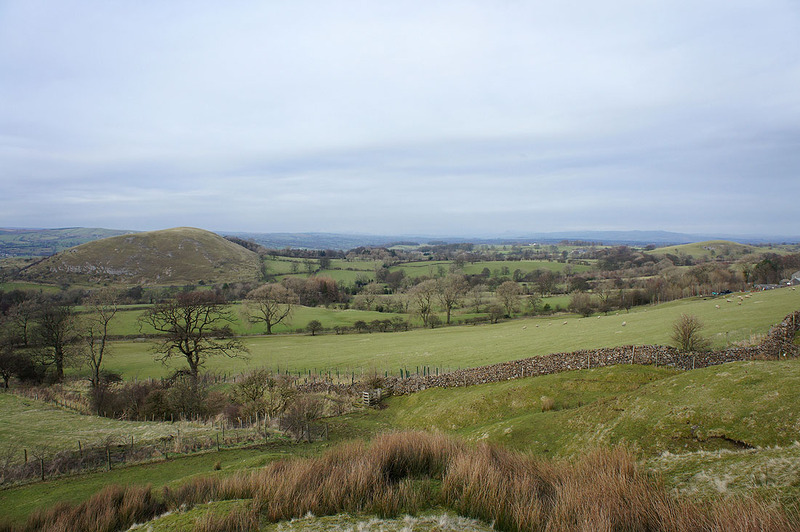 Looking past Clitheroe to Longridge Fell, Parlick and Fair Snape Fell. 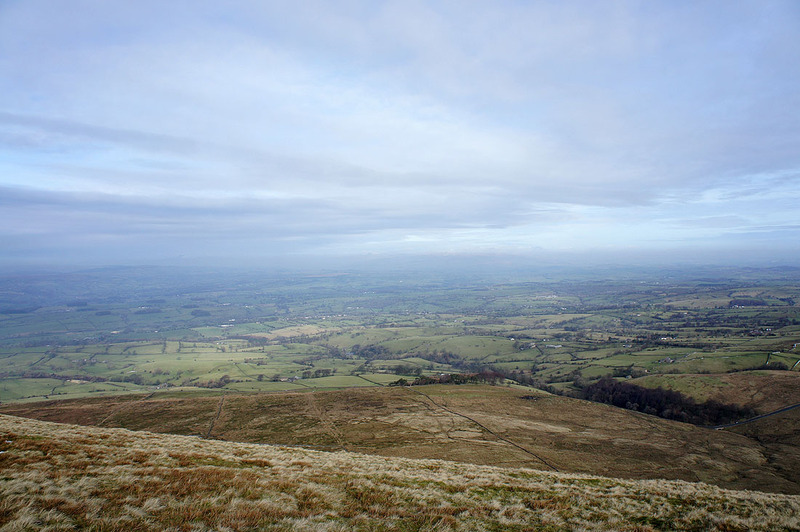 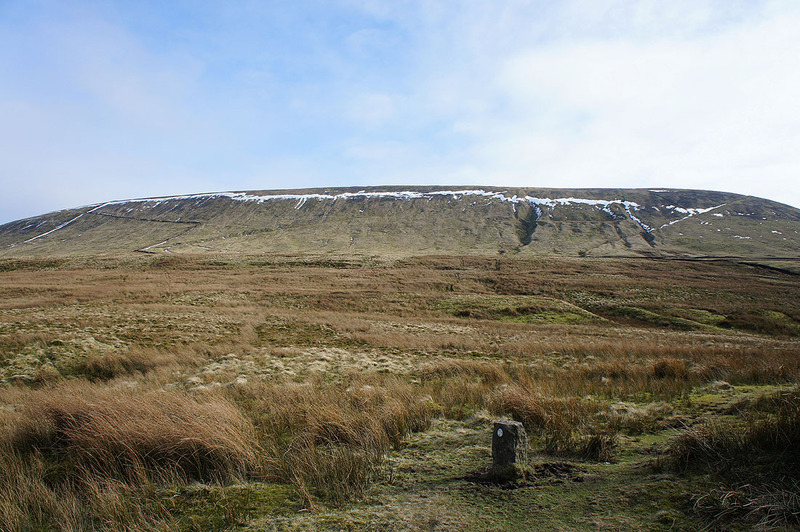 The steep north-western flank of Pendle Hill. 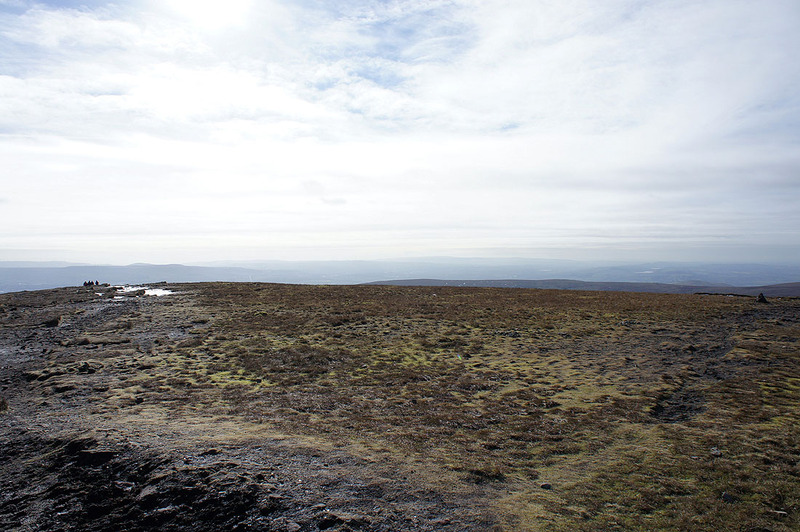 My line of descent was the slanting line on the right. 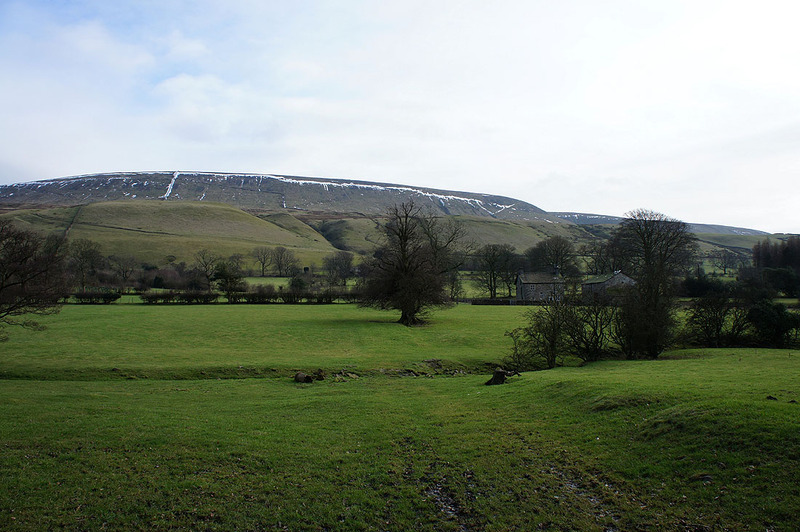 Pendle Hill from West Lane and..